VW, Skoda, Honda, Mazda… does anyone burn fuel as they claim? Volkswagen Group has come under fire for using a defeat device to cheat official car pollution tests. But it’s not just emission figures that are at fault. 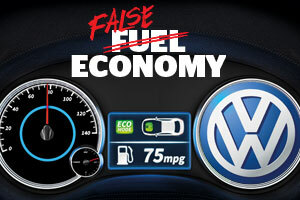 For years we’ve found that fuel economy figures do not match official MPG claims – and VW is not the only culprit. UPDATE – 24/09 : It is being reported in the press that German Transport Minister, Alexander Dobrindt, has said today that emission manipulation by Volkswagen happened in Europe as well as in the US. It is thought that vehicles with 1.6- and 2.0-litre capacity engines are affected, though the total number of affected vehicles across Europe is not yet clear. It has also been noted that random tests will be carried out on cars from other car makers, not just those from the Volkswagen Group. Official test figures are only as good as the tests themselves. And one of the biggest sells for a new car is how efficient it is, measured by how many miles per gallon (MPG) you get. Following the news that up to 11 million diesel Volkswagen (VW) cars around the world have discrepancies between claimed and real ‘tailpipe’ emission values, we’ve taken the opportunity to look at the MPG values of diesel cars from both the VW Group and its competitors. On average, the diesel-powered cars we looked at miss their claimed MPG figure by 12% – meaning you could end up spending hundreds more on diesel every year. Looking for a new car? Don’t be fooled by official figures. Instead check out our car reviews to find out just how much a car really will cost you in fuel. Come clean on fuel claims – sign our petition for fuel claims you can trust. Diesel cars are big business in the UK. According to the Society of Motor Manufacturers & Traders (SMMT), of the 1.6 million cars registered as new in 2015, 48% of them have a diesel engine under the bonnet. In the table below, we’ve focused on similar-sized cars to the VW Golf, that also have diesel engines, between 1.6 and 2.2 litres in capacity. Models include the under-scrutiny VW Golf and Audi A3, plus other similar cars from the VW group, the Seat Leon and Skoda Octavia, plus competing cars from Honda, Mazda, BMW and Peugeot. The average discrepancy between the claimed and measured fuel economy figure is 12%. The VW Golf is the second-worst offender of this selection, behind the Peugeot 308 which is 17% away from its MPG claim. Only the BMW 1-Series comes close to its official figure, but still can’t quite live up to its claim. Why are claimed and real MPG figures so different? The test cycle only includes urban (in town) and extra urban (out of town) driving, but while it reaches a top speed of 75mph for 10 seconds, it doesn’t include any sustained motorway driving. This is the type of driving where cars usually consume the most amount of fuel. Many modern cars have adaptable driving modes to make them more economical or sportier. Our testing finds that ‘eco’ modes makes cars feel unresponsive, so while manufacturers may carry out the official test cycle using them, we think most drivers won’t opt to. The test is conducted with additional energy-consuming features turned off, including air conditioning, lights and heated windows, thereby making the car more efficient. Roof rails, extra lights and even the door mirror on the passenger side can be removed – this makes the car lighter and therefore more fuel efficient. There is no restriction for the air pressure in the tyres, meaning manufacturers can use higher-than-recommended pressures to reduce rolling resistance, reducing engine load and fuel use. There is no official body in place to police the testing procedure and monitor results from lab to lab. Also, the labs are commercial enterprises that rely on the carmakers for business. All manufacturers follow the same test procedure, but can select any accredited lab to use for the test. It’s very hard to get truly repeatable and comparable results when using multiple labs. There is a tolerance for the testing to be carried out at 1.2mph below the required speed, meaning less fuel is used, although the speeds used are already quite pedestrian. If all that wasn’t enough, the rules allow carmakers to arbitrarily knock 4% off the results at the end of the cycle. Which? tests are more realistic. On top of the official cycles, we include motorway driving, we use the default setup rather than switch to an eco-mode, the air conditioning is switched on and the headlights are left dipped to name a few examples. We also don’t over inflate tyres or remove any weight from the car prior to testing. Find out more about how we test MPG. Cars with Volkswagen’s Type EA 189 EU5 diesel engine are affected by the issue. You can now find out if you own one of these cars. Here is our guide to checking if you are driving a ‘dieselgate’ model. Affected customers will be informed by the manufacturer (whether that’s Volkswagen, Skoda, Seat or Audi) that the emissions characteristics of their vehicles will need to be corrected. If you find out that you own one of the affected cars, there is no legal requirement to stop driving it. The manufacturer has confirmed that all vehicles are technically safe and roadworthy. Don’t worry about rushing to the dealer, either. The manufacturer will contact you. However, if you happen to be due to take your car in for servicing at a Volkswagen/Audi/Skoda/Seat centre, you should be told if the car is one of those affected. Arrangements will later be made concerning the cars being corrected. If the car needs to be kept in, we advise that you push to be supplied with a courtesy car while the work is being carried out. The illegal software, known as a ‘defeat device’, is designed to artificially reduce noxious emissions in laboratory tests – tricking regulators into under-recording data and incorrectly certifying the vehicles for road use. This software has allowed VW to hide the fact that the named diesel cars are producing pollution up to 40 times the legal limit in the US. The software is thought to work by controlling a device that injects urea fluid into the emission control system, which reduces the amount of nitrogen oxide released. It can detect when the car is being run under lab conditions, as devices such as anti-collision systems are turned off in this environment. Once the car returns to normal road use, the software switches itself off – otherwise it would quickly run out of the fluid. The issue was discovered by International Council on Clean Transportation (ICCT), a small clean-air NGO that noticed discrepancies between their laboratory and real-world tests, which measured tailpipe emissions, of diesel Volkswagen cars in Europe. In order to validate their findings, ICCT borrowed equipment from a U.S. university to test the cars’ actual emissions in real-world driving in the U.S., where car emission limits are much lower than in Europe. To their surprise the pattern was repeated – while the cars passed lab tests performed by the California Air Resources Board, they failed the real-world tests. Nobody knows for sure. ICCT also tested a diesel BMW X5, which passed the tests, but now a number of regulators and environment agencies from all over the world are starting to investigate Volkswagen cars as well as diesel cars made by other manufacturers.